Legacy Sprague Rappaport Stethoscope 30"
3M Littmann Stethoscope Spare Parts Kit, Lightweight II S.E. Stethoscopes are used by healthcare practitioners of many different specialties. Most physicians, nurses, and CNAs own at least one stethoscope, as do many other medical professionals. Stethoscopes are quite possibly among the most essential tools for healthcare professionals. A stethoscope is a medical device with two tubes which are each connected to an earpiece at one end. These tubes are connected to one another at the other end, and feature a small, disc-shaped resonator at the bottom. Medical professionals use a stethoscope to listen to internal body sounds coming from the heart, lungs, intestines and blood flow. The sphygmomanometer is often used together with the stethoscope to measure one’s blood pressure. A stethoscope allows for more accurate assessments, which enable the physician to create a treatment plan that is more effective and efficient. Most stethoscopes look pretty much the same, but that doesn’t mean there aren’t core differences. Of the many stethoscopes for sale, each one serves a distinct purpose. Besides the traditional acoustic stethoscopes, there are a variety of electronic stethoscopes that offer advanced technological features, fetal stethoscopes for listening to a child in its mother’s womb, stethoscopes designed specifically for pediatric use, and many more. If you’re looking for the best stethoscope, simply give us a call; we’ll be happy to help you choose one you’ll love using! Stethoscope parts include earplugs, flexible tubing, binaural pieces, a stem, and a chest piece. The earplugs are formed of Delrin, a white plastic, or of soft rubber. They’re attached to strong steel springs, which allow the earplugs to fit firmly in the ears. The binaural pieces are the metal tubes that each earplug is attached to, that runs from the earplugs until the flexible tubing. The flexible tubing is usually rubber, and it begins where the binaural pieces become invisible and goes until the stem. The stem attaches the flexible tubing with the chest piece. The chest piece is made of metal, and includes a diaphragm, a drum, and a bell. Ever heard of René Laennec? Well, he’s the one who invented the stethoscope in 1816! And if you thought his name sounds a bit French, you’re right. René was a French man who worked at the Necker-Enfants Malades Hospital in Paris. He was prompted to invent the stethoscope because placing his ear on a woman's chest to hear heart sounds made him feel uncomfortable. Laennec designed his device after observing that a rolled piece of paper that was placed between the patient’s chest and his ear could amplify heart sounds. It was quite similar to an ear trumpet of those times, which was used by the hard of hearing. The monaural (used on one ear) device Laennec created was made up of a single wooden tube which amplified sounds. He named it a stethoscope, which is a combination of two ancient Greek words; stetho, which means chest, and scope, which means to inspect. Fast forward a few dozen years until 1840. In this year, Golding Bird published the first known description of a stethoscope which featured a flexible tube. This stethoscope had a single earpiece. Now we’re on to 1851, the year in which Dr. Arthur Leared invented a binaural stethoscope, which is used with both ears. The next year, George Philip Cammann perfected the design of the binaural stethoscope for commercial production. This is the basic design of the classic stethoscope utilized by professionals today. Nearly one hundred years later, Rappaport and Sprague designed a new stethoscope. The 2 sides on the disc at the end of this stethoscope each performed a different function: One side is used for checking the heart, and the other is for listening to the lungs. This stethoscope design is referred to as the Rappaport-Sprague model stethoscope. Now let’s talk 1960’s. Does the name David Littmann ring a bell? He was a professor at Harvard Medical School, and he created a new, lighter stethoscope with improved acoustics. Littmann stethoscopes are among the most popular stethoscopes today, and the original Littmann stethoscope is generally used as the basis for classic modern stethoscopes. Where to buy a stethoscope: Stethoscopes are an important investment into your clinic, so if you’re looking to buy one for any reason, be sure to buy yours on a reputable online site with quick shipping, easy returns, and dedicated customer service (read: AvaCare Medical ;). How much does a stethoscope cost? The range of stethoscope prices is high and depends on the type of stethoscope you are looking for. Standard acoustic stethoscopes may cost as little as $3 - $60, a high quality bluetooth electronic stethoscope such as the 3M Littmann model 3200 can cost as much as $300 - $500, and cardiology stethoscopes and other specialized models can fall anywhere between these numbers. What are the two sides of a stethoscope used for? As mentioned prior, in the early 1900s Rappaport and Sprague introduced the two-sided stethoscope head. One side is used to listen to the heart, while the second side is used to monitor the lungs. Now that you know all about the history, types, and parts of stethoscopes, you’re ready to find the one that suits your needs best! 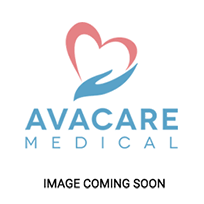 With the many options available at AvaCare Medical of Littmann stethoscopes, Sprague stethoscopes, and other reliable, high quality stethoscopes from reputable brands, you’re bound to find a scope that you’ll be satisfied with.